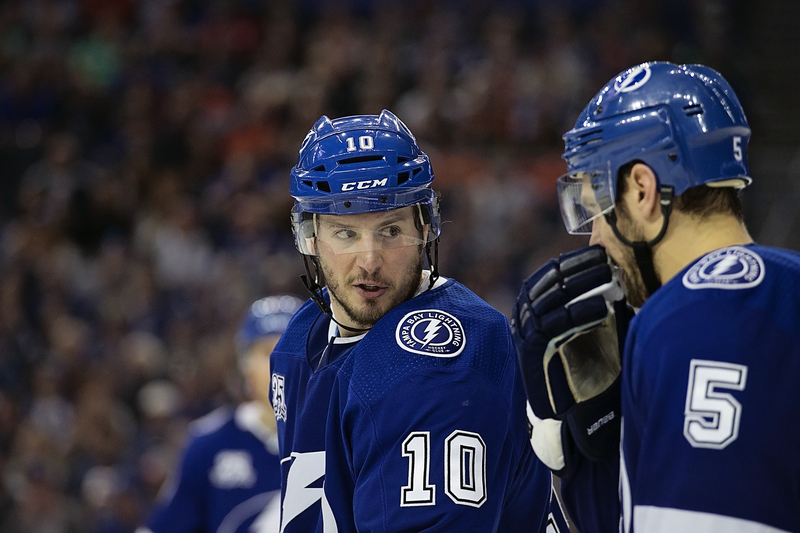 All of the sudden, things are going the wrong direction for the Tampa Bay Lightning. The Lightning lost its third consecutive game Thursday night, falling 4-2 to the Boston Bruins. The Bruins have won all three meetings between the teams this season. Tampa Bay also fell out of the lead in the Atlantic Division, which it had led since Oct. 19, and the Eastern Conference. “It was frustrating," Lightning coach Jon Cooper said. "There’s really not much going on in the first period and we give up two on just tough situations for us. We kind of missed our assignments there. But, in saying that, we pushed hard for two periods. I thought we kind of dictated the play after being down 2-0. The Bolts fell behind when the Bruins scored two goals in 32 seconds in the first period. The Bolts came within 3-2 on goals from J.T. Miller and Victor Hedman, but the Bruins finished the game with an empty-netter. Andrei Vasilevskiy is 2-3 in his last five starts. He stopped 26 of 29 shots. At one point, he was penalized for crossing the red line as he squared off against Boston and goalie Rask. The Lightning took heart in playing better in the final two periods. “I thought we played great in the second and third," said Steven Stamkos. "I thought we were the better team, whether it was them sitting back on a two goal lead or us pressuring. I thought we controlled the play. It’s a tough, they got two goals in the last minute or 1:20, something like that. The Bolts were pleased with how they played in the final two periods. 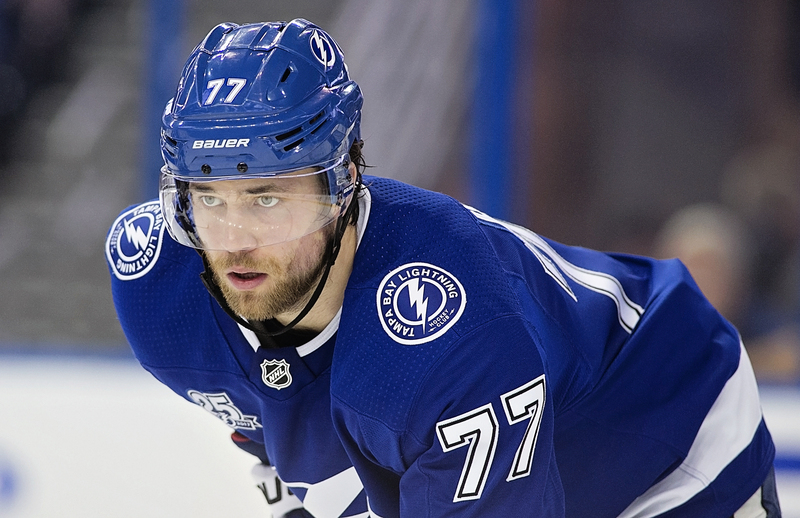 “That’s the way we want to play," defenseman Victor Hedman said. "That’s the way we know we can play. I think we played really good hockey. We tied the game up and I thought our challenge was going to be good but it wasn’t. I think we deserved points out of this game, but really encouraged with the way we played and got to keep building on that and keep going forward. Tampa Bay travels to New York to face the New York Rangers tonight. The puck drops at 7 p.m.
My concern is the Lightning don’t seem to respond well when the other team has an aggressive forecheck, an aggressive defense. They strike me as a finesse team, speed and lots of passing, but if the defense clogs up the passing lanes they make mistakes, and make a lot of turnovers in their own end under pressure – and maybe it’s just the teams they are playing, but it seems to me more of the teams now are applying that aggressive defense and forechecking that seems to befuddle them… Too bad I’m not smart enough to come up with an answer, but Go Lightning! You aren’t supposed to have answers.But I’ve seen the same problems you have.This isn’t a very crisp passing team on a lot of nights. A lot of mistakes in the neutral zone. (Or worse, their own end). They’ve gone from an A rated team to a B or B +. I don’t like their chances in series against Boston. You? Not unless they find a way to break a forechecking defense and move the puck consistently out of their zone and into the offensive zone. I try to remember what they were doing early in the season and I’m not sure what there were doing was any different than now – just more effective. I chalk that up to the defenses changing but sure could be wrong. I don’t know how much the world knows about the Lightning’s scheme now than they did then. I think some players are tired, some are hurt, and some aren’t playing as well. Hope they can refocus before the postseason. I am not worried about this team yet . They seem to come through when the chips are down! They are not playing their best hockey in the last 3 games and I am concerned that they may take the slow starts into the play offs! They need to get the lead early so that they don’t have to keep coming from behind so much! And if they meet Boston again I hope Cooper has them more ready! A lot of very good teams have struggled in the playoffs. I think there is a concern. Previous post: Do the Rays have enough power to win?